ChaseLawyers℠ is a “boutique” arts, sports, media and entertainment law firm with offices in New York City and Miami, Florida. We represent both institutional and individual clients, with particular emphasis on the music, film, television, sports, radio, modeling, literary and Internet industries. The entertainment industry is complex and diverse, with individual enterprises, entrepreneurs, small businesses, and major international corporations. The industry covers the spectrum, from solo local performers to global conglomerates, such as the Walt Disney Company or Time-Warner. First and foremost, the role of ChaseLawyers℠ is to help clients protect and monetize their artistic and business achievements. We also provide the long-range advice and protection necessary to smooth the way and avoid legal difficulties as clients’ careers develop. The training and hands-on experience of our entertainment attorney Miami team equip us to meet even the most complex and challenging legal needs. Our law firm’s philosophy of practicing law, commitment to clients and broad experience provide assurance that you will receive an uncommon level of timely personal service and attention, as well as quality legal advice and representation. 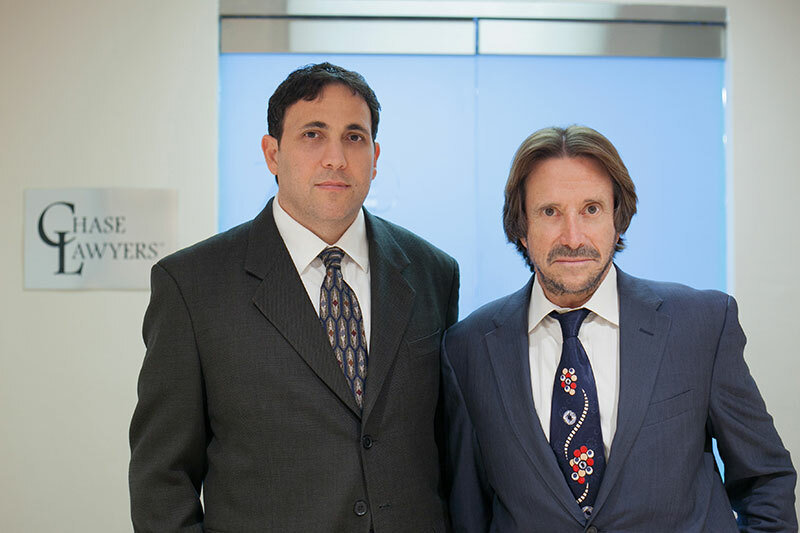 Top entertainment lawyers in NYC Barry Chase, Gregory Bloom, Alexander Loveyko and Michael Epstein offer the perfect combination of experience, expertise, and energy to clients across the globe. Mr. Chase’s Yale-Harvard education/TV experience, Mr. Bloom’s history in the sports field, Mr. Loveyko’s advanced degree in copyright and trademark law, and Mr. Epstein’s hands-on involvement in the music industry allow our team to take any legal burden off your shoulders, while you focus completely on your creative and entrepreneurial endeavors. Our clients include Spanish-, French-, Russian- and English-language individuals and corporations, small businesses and individual performers, such as network television stars, record and music publishing companies, live performers, models, musicians, bands, etc. ChaseLawyers℠ provides legal services for all aspects of our clients’ professional lives, including setting up their companies, formalizing prior relationships, creating strategic alliances, and negotiating talent agreements, licensing arrangements, TV contracts, endorsement deals and other transactions on their behalf. After graduating with honors from Yale University and Harvard Law School and practicing with a major national communications law firm, Mr. Chase began a successful career in television programming with PBS, public television’s national network. He spent several years as the PBS National Network’s Vice President and Senior Vice President of National Production for South Florida’s PBS affiliate. The ChaseLawyers entertainment law firm Miami has in-depth business experience in the industry and a broad understanding of the issues that influence entertainment clients’ careers. Clients appreciate the insight we bring to the table because of this combination of business and legal experience. Contact us to learn more. Barry Chase, Gregory Bloom, Alex Loveyko and Michael Epstein help our clients become successful in the entertainment field and achieve their business objectives. We provide comprehensive service: more than just transactional and contract involvement, and more than just resolution of the immediate legal issue at hand. We focus our attention on each client’s entire business and overall objectives. Success in the entertainment business requires careful strategic development of long-term goals and thoughtful implementation of short-term tactics. ChaseLawyers℠’ small business lawyer Miami firm stays on top of the law as well as the business of entertainment and sports, so that we are prepared to address, anticipate, and resolve legal matters that affect each client’s path to personal, professional, and business achievement. ChaseLawyers℠ is committed to protecting our clients’ rights, anticipating future problems, neutralizing unanticipated obstacles, and helping to clarify and achieve our clients’ goals. Clients have learned to trust our firm’s commitment to respond to their objectives in a prompt and cost-effective manner. Mr. Chase, Mr. Bloom, Mr. Loveyko and Mr. Epstein strive to be available to clients on a “24-7 basis, and we take great care to act on clients’ concerns and needs. Clients typically learn to trust our integrity to the point where more than one client has said that we have permanently altered their (previously negative) view of lawyers. They know we will help them understand the legal landscape before they make a decision that affects their entire entertainment career. So, if you need entertainment and sports lawyer services, you can rely on us.